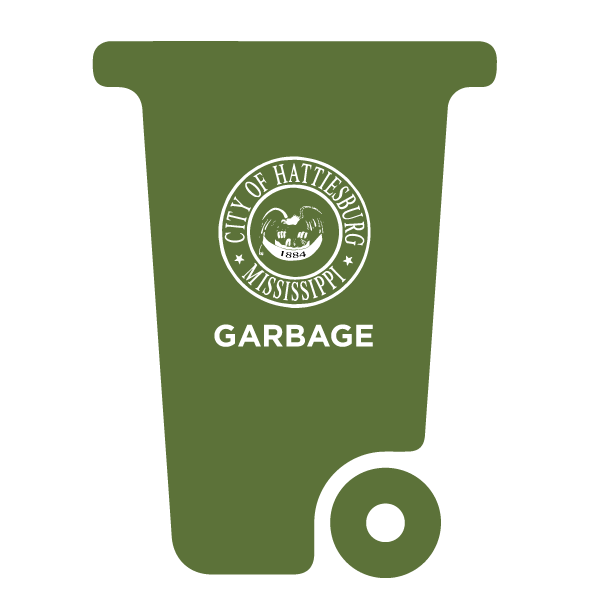 The City of Hattiesburg provides weekly, curbside garbage (green can) and trash (brown can) collection to single-family homes, duplexes and apartments throughout the city. Each residential dwelling receives one green can and one brown can for collection. 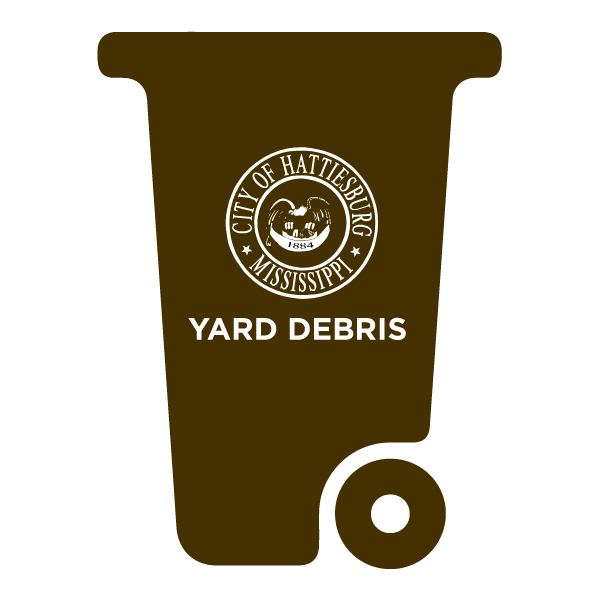 If additional cans are needed, a request can be made to Sanitation & Solid Waste at 601-545-4545. An additional $2.50 per month will be added to your water bill. Details regarding garbage and trash collection can be found below. Garbage is collected once a week, on Mondays and Tuesdays (depending on where you live). To learn more about when you should put out your green can, call 601-545-4545. Garbage cans must be placed at curbside to ensure collection. Garbage carts must be removed from the city right-of-way following collection. When a City holiday interrupts the solid waste collection schedule, routes will resume the next scheduled business day. Click to view the Holiday Collection Schedule. Bag all garbage and place all bags inside the can; can must not be overfilled. Please don’t put extra bags on the ground. Place can on the curb with arrows pointing toward the street on collection day. Cans must be more than 3 feet from parked cars, mailboxes, fences and fire hydrants. Cans may not be placed under low hanging utility lines or tree limbs. After can is emptied, please remove from the curb by the next day. Garbage is identified as any waste items produced inside the home. Trash is collected once a week, on Wednesdays and Thursdays (depending on where you live). To learn more about when you should put out your brown can, call 601-545-4545. Trash cans must be placed at curbside to ensure collection and removed from the city right-of-way following collection. Trash service is only available to residential customers. Non-residential customers are not eligible for trash service. All trash must be placed at the curb for collection. Trash may not be placed in the street. All leaves and small items should be bagged before placing at the curb for collection. Heavy trash includes large limbs and shrubs and bulky items that cannot fit in either can. These items can be placed at the curb and will be collected weekly. For a special pickup, you can call the Action Line at 601-545-4500 or call Sanitation & Solid Waste at 601-545-4545. Items NOT acceptable in any can include hazardous waste (paint, light bulbs, batteries, chemicals, etc. ), tires and glass.